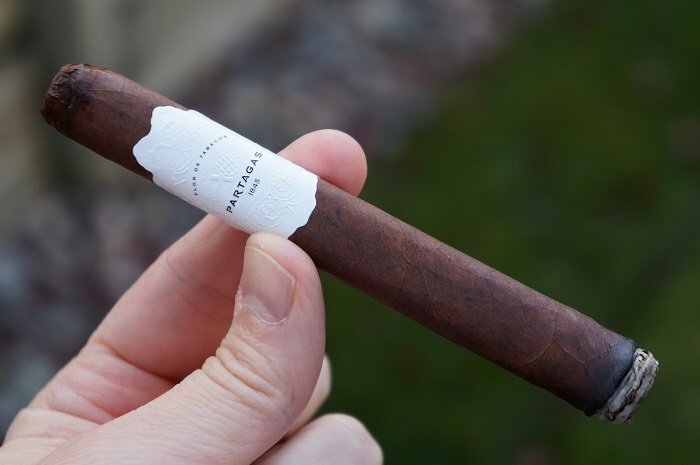 The cigar has a distinct rectangle press to it with a consistent medium brown wrapper. The veins are well pressed and mostly noticeable on the back of the cigar. The seams are smooth and barely visible while the head is finished off with a well applied triple cap. The band is all white with some small black lettering on it and could easily be passed over for too simple until you examine it a bit closer to find some detailed embossing. The pre-light aromas are all very faint with wood and cocoa from the wrapper and wood and hay from the foot. The pre-light draw brings a simple leather. The Partagas Legend Corona Extra Leyenda has a very dark brown wrapper, with a soft square press. The band is ivory white with raised impact embossing, and black lettering. The aroma on the wrapper is strong leather with pepper underneath. In the foot I’m smelling sweet tobacco. The cigar begins with a full flavor profile of creamy wood that has some cedar components along with baking spice. At a half inch in, the cream has increased and I’ve gotten hints of licorice on random draws. At an inch in, the profile is creamy wood, baking spice and faint licorice. The retrohale has a zinging baking spice up front which makes it hard to detect much else. As the third comes to a close, the profile is primarily musty wood with the baking spice and licorice notes in the background. The retrohale now has an even mix of the musty wood and baking spice. The strength in this third was medium. Flavors of sweet cream that delivers a thick mouth coating on the post draw to start the Partagas Legend. Powdered cocoa joins with a similar mouthfeel, and I taste very light baking spices on the retrohale, along with toasted cedar post draw. Once the cigar has settled, post draw leather develops, and light pepper joins the flavor medley on the post draw. As the second third begins, the wood takes a slight lead over the cream while the baking spice is still in the background. The licorice note is no longer detectable. At three quarters of an inch in, the wood gains some char and the cream drops further back in the profile. The baking spice is now very faint. The retrohale is musty wood with a slight baking spice. As the third comes to a close, the cream has transitioned to mustiness while the charred wood is still up front and the faint baking spice is in the background. The strength in this third bumped up to slightly above medium. No significant changes to the flavor list to start the second third. A few minutes in, some loamy earth starts up on the post draw, at a light plus intensity. Once the cigar has settled, the post draw leather picks up to medium minus with the earth matching the strength level. 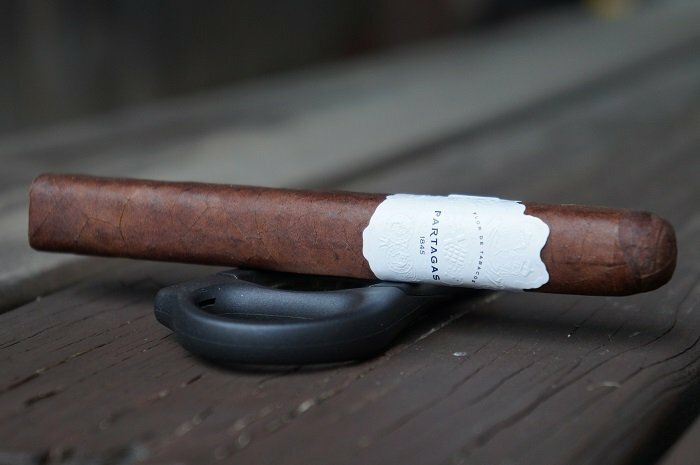 As the final third begins, the profile is full with charred wood and mustiness and a slight baking spice in the background. The retrohale is charred and musty wood. As the third progressed, there were no changes to the profile. The strength remained at slightly above medium. The post draw earth exhibits a toasted quality moving into the final third. The main profile has maintained the sweet creaminess, as the chocolate begins to fade out. The burn through the first two thirds was horrible. I had to perform four re-lights and the burn line was fairly wavy. The final third had no problems. The first third has an uneven burn and canoes in the end of the first third requiring a touch-up. The cigar goes out in the last third and I need to relight. The ash held on well in 2 inch plus increments. The draw was fairly snug and it’s hard to tell if it contributed to the burn issues. The flavor profile in the first third was pretty nice with wood, cream, baking spice and licorice. In the second third things dropped down as it became primarily charred, musty wood and carried that through the end. Construction, primarily the burn was pretty bad and I’m sure all of the re-lights took a toll on flavor. I’d be interested in trying this again, hoping for a better burn to see if it improved flavor delivery. The price point is a bit high, so that tempers my chances of actually revisiting it. This isn’t something I could really recommend even trying unless your curiosity is strong enough. The draw is perfect, in the ideal zone between resistant and open. 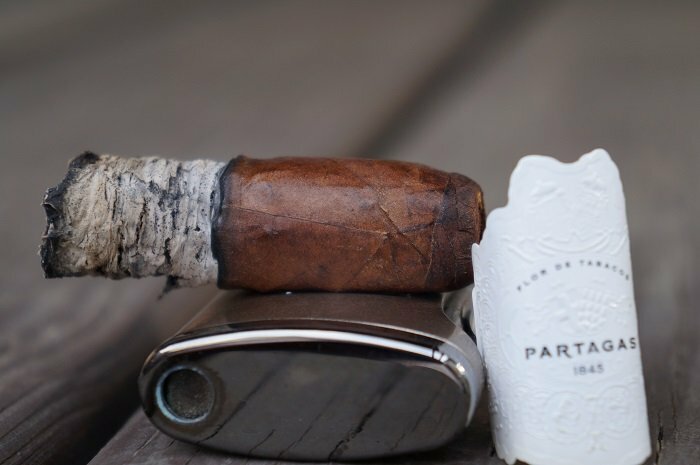 The Partagas Legend Corona Extra Leyenda is an enjoyable smoking experience. With a complex flavor profile of cream, chocolate, leather, pepper, baking spices and loamy earth. I particularly enjoyed the vitola, and found the soft square press very comfortable. Total smoking time was 1 hour and 25 minutes. Sounds like an enjoyable smoke! I had a similar experience to John. 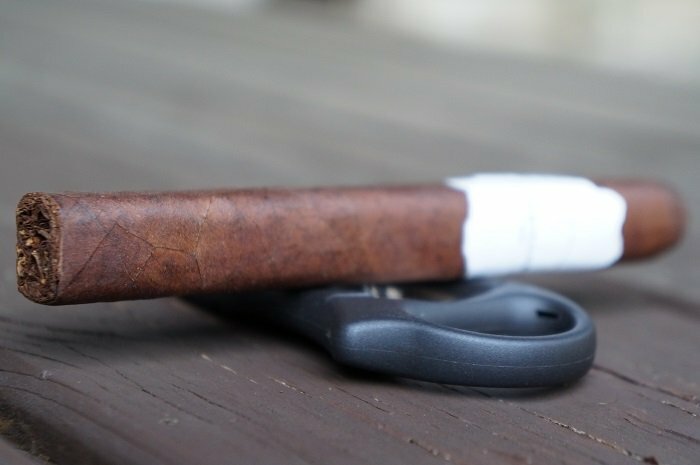 My B & M has them for $15 and I gave it a shot. It was not bad, but it definitely doesn’t warrant that price point. 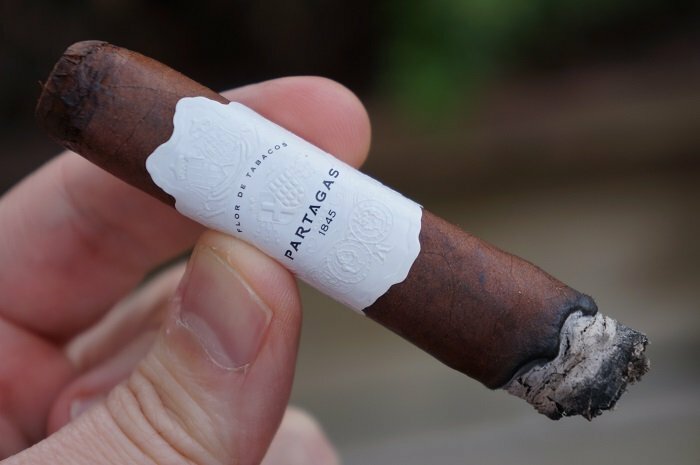 Does this have a better overall flavor than the Partagas Serie B No. 4? Congratulations to George M. on the win.